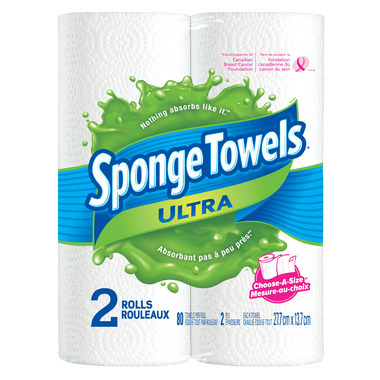 SpongeTowels Ultra is a premium paper towel with Sponge Pockets technology that delivers ultra-absorbency. SpongeTowels. Nothing absorbs like it. The Choose-A-Size lets you choose as much or as little as you need of these soft sheets. Very hardy, does an excellent job. Satisfied. This product is great. Really does what it says, and spills are quickly up.